After just a few whistled notes of “The Fishin’ Hole,” the immortal theme song of “The Andy Griffith Show,” I am transported to the carefree summer days of my youth. I memorized that tune, gained an appreciation for the show and developed a fondness for the characters watching midday re-runs in the late 1970s and early 1980s. Griffith’s passing from a heart attack at age 86 on July 3 put me in a reflective mood. Pop culture has absorbed few Southern icons the way it has Andy Griffith’s television characters. There are plenty of hayseeds and hillbillies played for laughs on the big and small screens, but these Southern-fried jesters aren’t elevated to the status of role models. These buffoons are anti-heroes at best, beloved maybe, but not respected. It is my contention that Griffith will be the only Southern entertainer to occupy that lofty position. In the 1960s, Andy Griffith and his cast of zany Southern archetypal characters inhabiting the fictional town of Mayberry, N.C., became part of American culture. Syndication will keep it that way in perpetuity. Griffith’s character, Andy Taylor, was likable in nearly every way: a widower trying to raise a son, faithful church choir member, shrewd law enforcement officer, dapper and available bachelor, a mellifluous singing guitar player and a patient friend and mentor. 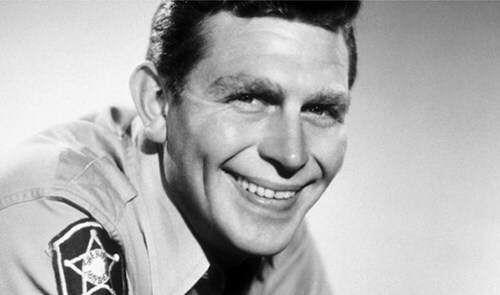 When “The Andy Griffith Show’s” run was over, it appeared Griffith’s life on television was over, so strong was the impact of his portrayal of Sheriff Taylor. Conventional wisdom had it that he would be forever typecast. But Griffith had that quality that could be reshaped with a little aging. By the time Griffith introduced us to Atlanta defense attorney Ben Matlock in 1986, we were ready for his reinterpretation of another Southern archetype – the wise but gruff older man whose experience gives him the advantage over brash adversaries who underestimate him. In the landscape of New Southern culture , there is no emerging replacement for Andy Griffith. This is an era of dark themes and Southern gothic storylines. We have an abundance of such characters as zombie fighters, vampires, detectives and football coaches. Lately, the trend has been toward reality TV shows that put Southern caricatures on display and give legs to negative Southern stereotypes. But Andy and Ben were characters Southerners could be proud of. Yes, they became clichés in their own right, but being kindhearted, clever and musically talented aren’t attributes we Southerners mind. These two characters, plus the many other memorable roles Griffith portrayed, will secure Griffith’s place in pop culture. 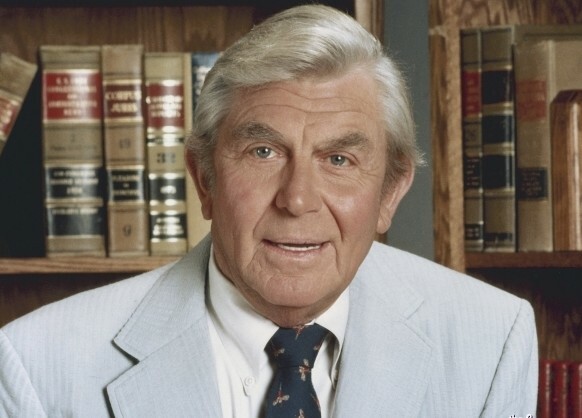 Re-runs of “The Andy Griffith Show” and “Matlock” may even garner a larger ratings share now that Griffith has passed, and he will likely be so ubiquitous on cable that the question “Is Andy Griffith dead?” will be a popular Google search in a few years. As the Facebook tributes and Twitter odes continue for this son of the South, it’s important to remember that Griffith was a person aside from his assumed TV personas. His passing causes grief, but more than that, it provokes gratitude. Thanks, Andy, for giving the South – old and new – characters we can be proud of. I will appreciate you in reruns a little more knowing that you’ve left us. This entry was posted in Uncategorized and tagged Andy Griffith, Andy Griffith's death, Ben Matlock, contemporary South, Lance Elliott Wallace, Lance Wallace, Matlock, Mayberry, New South, New South Essays, NewSouth, re-runs, Sheriff Andy Taylor, South, Southern, Southern Culture, Southern Living, Southern TV shows, Southerners, television, The Andy Griffith Show, The Fishin' Hole, the South, TV theme songs, whistled theme songs. Bookmark the permalink. “I hear it’s so funny and people are laughing so loud you can’t even hear all they are saying.” I remember that’s what my mom said about No Time for Sergeants – starring Andy Griffith as Private Will Stockdale – as she proposed we go see it together, possibly the second movie I saw with my family at a theater – The Ten Commandments was first. I immediately became an Andy Griffith fan and when I was given the album Just for Laughs I listened to What It Was, Was Football so many times I knew it word for word and in the correct dialect. Thanks, Andy, you left me a deep sense of gentle southern humor. I grew up seeing The Andy Griffith Show in re-runs, especially at my grandparents house, and always enjoyed the show, the characters, and the lessons taught. But I became a Matlock fan during my teenage years — definitely not the targeted demographic. I can remember watching back-to-back episodes in the summer, and loving the Ben Matlock character with his seesucker suits, love of hotdogs, occasional guitar playing, and detective skills. What an amazing talent to give us two strong television characters. We had an Andy Griffith Bible Study at our church. We would watch clips of the show and then Andy would come on and ask us discussion questions. As a VERY young girl growing up in rural Kentucky, I remember being outside, playing with friends in the early evenings and when my sisters and I heard the whistling of “The Fishin’ Hole” coming from someone’s nearby living room, we’d all scatter back to firmly plant ourselves in front of our respective televisions. Nowadays, my daughter, who had nearly memorized every “Friends” episode, will start many of her sentences with “Remember the one where ….. ” We did that with Andy and his gang. Thanks for lessons in life, Andy. T.V.﻿ Shows and Actors come and go,but Mr.Griffith gave us such memerable people to love and laugh with .I would have been proud to call him Pa or have him defend me as he did so well on Matlock. From the first episode I said I wanted to live in Mayberry,I dont think anyone can watch that show and not say they wish they could live there even for a little while.A place where you felt safe and yet Pa always made sure youylearned your lesson but always with love . R.I.P. Kind Sir. I would LOVE to say something, but he’s done 10/4ed me! To Andy and Don!